Condor agates from Mendoza province in Argentina produces some of the most beautiful banded agates ever seen in brilliant colors with dramatic fortification banding. The most prolific source of fine agates in the world today. 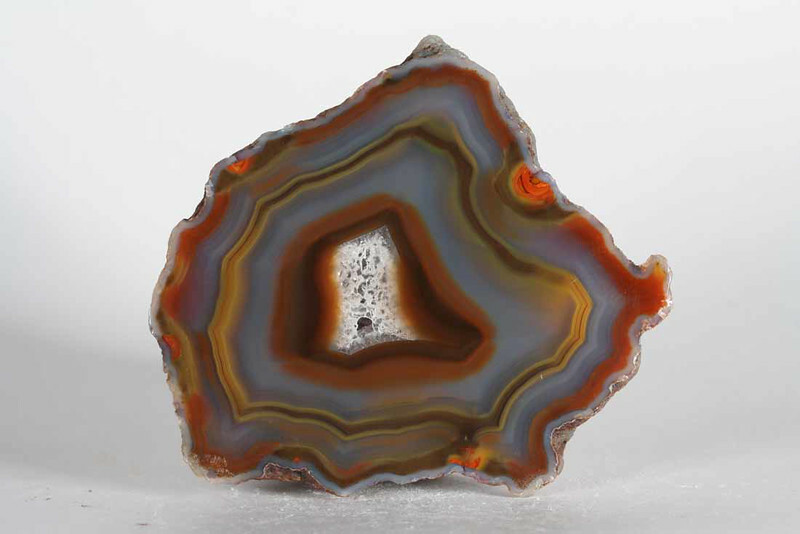 The bands in this agate remain distinct while changing colors form one spot to the next.